I reallyyyyyy like this manga! I always check the website whether they already posted the new volume or not. Yet it’s not continuing as fast as I want. Anyway I still respect the people who scan it. Thank you guys! back to the manga, it’s a historical manga which tell about Turkic (Central Asia) culture. Beside it, the story is really nice and tells about the braveness of Turkic’s women. The romance and the drawing can allure you into it along with the drama and comedy. I found this manga through Jurnal Otaku Indonesia. Besides the drawing, I also like the story. Once again it’s a historical manga about Charles Henri Sanson as a Royal executioner of France during the the reign of King Louis XVII. For your information, the drawing is really detail and showing the torture like in reality. So, prepare yourself before you read it. 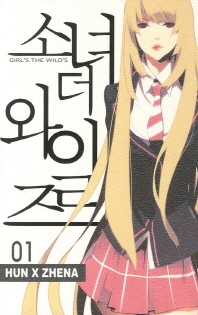 This manga was adopted from a novel “Our Happy Time by Gong Ji Young. There’s also a Korean movie (Maundy Thursday) based on the novel too. It cries me a river when I read this manga. the story is really touchy and teach me many things. Okay this is the last one. Even though there still lots great manga that I want to share but my eyes are really tired now. This manga is perfect for all bullier out there. Read it and feel it so you will consider about others feeling.